The on-reserve portion of a road that will eventually connect Shoal Lake 40 First Nation with the Trans-Canada Highway is complete, the chief told supporters at Winnipeg's Thunderbird House on Saturday. The on-reserve portion of a road that will eventually connect Shoal Lake 40 First Nation with the Trans-Canada Highway is complete, Chief Erwin Redsky told supporters at Winnipeg's Thunderbird House on Saturday. He said it was finished six weeks ahead of schedule and under budget. The completed section measures 8.7 kilometres, or roughly a third of the 24-kilometre Freedom Road. The Manitoba government, the City of Winnipeg and Ottawa agreed last December to fund construction of the project that will give Shoal Lake 40 residents year-round road access to their community. The federal government promised to pay $20 million, while the province and city each agreed to pay $10 million. Construction of Freedom Road began in July. "2017 has been a very exciting year for us and our community," Redsky said Saturday. "We just look forward to the second phase [of construction]." As part of a decades-old tripartite agreement, Redsky meets with representatives from Winnipeg, the federal government and the province on Dec. 19. He hopes the province will give a date then as to when it plans to start building its portion of Freedom Road. "It's out of our control as a First Nation but we hope that there are no delays," said Redsky. 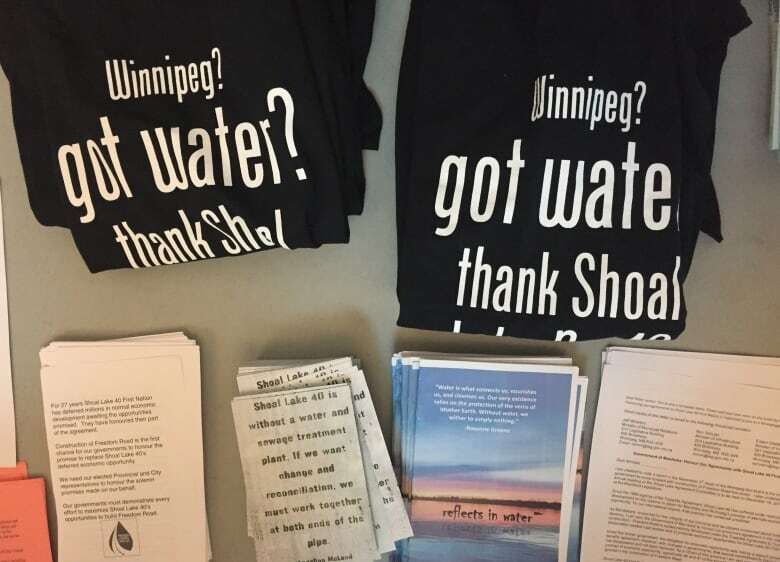 Jeff Friesen, chair of Friends of Shoal Lake 40, said his Winnipeg-based group will continue to be vocal advocates for Shoal Lake in the city until the road is finished. "We want to make sure that there's no dragging of the heels," he said. On Saturday his group sold t-shirts stenciled with messages about water access in the community. 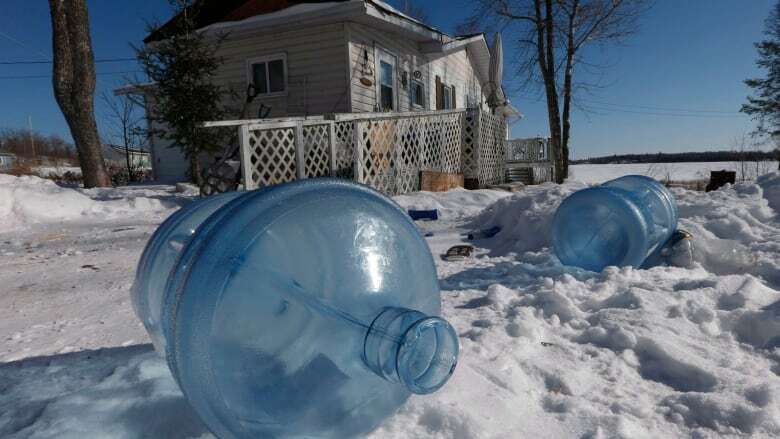 Shoal Lake 40 sits on the shores of Winnipeg's main source of drinking water but community members there must to rely on bottled water shipped in by ice road or ferry. Once an all-season road is constructed, Shoal Lake 40 plans to build their own water treatment plant. Redsky wants construction on the remaining section of Freedom Road to start this winter. For now, ice roads have already frozen so the community is accessible until the thaw. "We're looking forward to that day when we'll be able to drive home 365 days of the year." 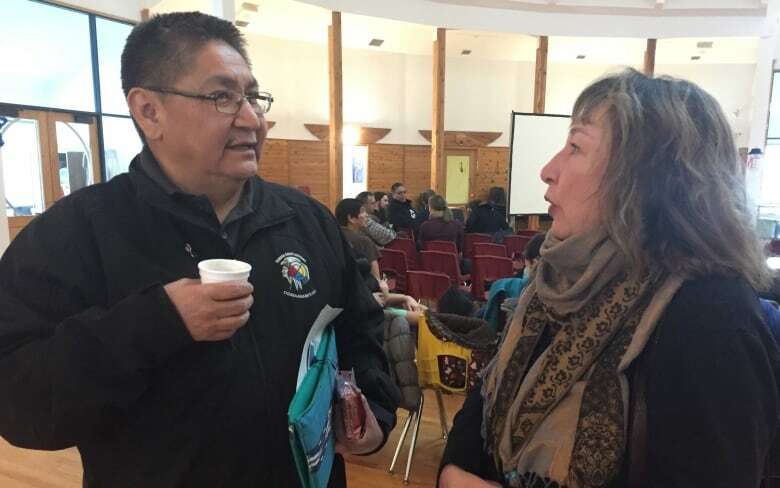 For decades community members of Shoal Lake 40 First Nation have been working to improve the economic viability and quality of life on the small First Nation and the only way to do that is to improve road access, he said.